Technology: A Solution for Workforce Challenges? As the US economy experiences historically low unemployment rates, talent acquisition and retention remain a top challenge throughout the senior living industry. Executives and leadership within the sector are acutely aware of this and are increasingly exploring technology and software solutions to better manage the challenge. While historically the market has been somewhat averse to technology, senior living operators are experiencing increased pressure to adopt new solutions. This need is only becoming more pronounced as it becomes clearer that technology yields the potential to assist in solving operational and staffing challenges. Because, the last thing front line caregivers want is additional manual documentation or data entry through their shifts. As a result, senior living providers are exploring their options with more vigor – from developing and refining solutions in-house to building relationships with vendor partners. One key challenge is that many of the solutions in the market rely on central kiosks or immobile devices that make it difficult for caregivers to update information throughout the day. To date, intuitive, handheld options have been limited. 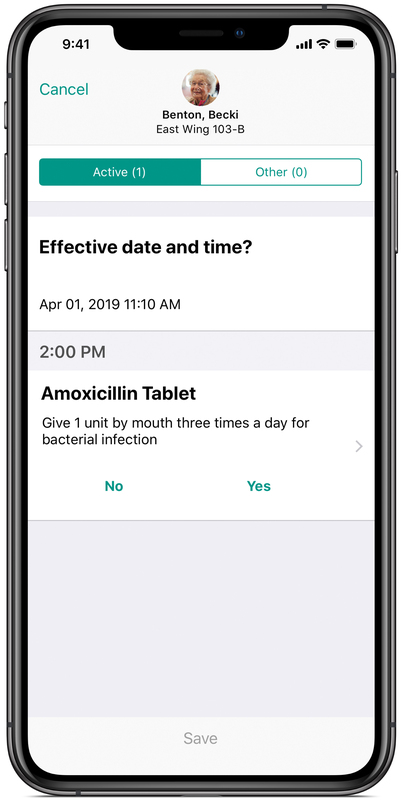 PointClickCare has launched a new mobile app for the iPhone and iPad – PointClickCare Companion – that is designed to improve the way providers, and especially frontline caregivers, track and manage the delivery and documentation of care services, medication, and billing. “PointClickCare Companion is part of our scalable, flexible, and outcomes-based approach to senior living and medication management, and we’re excited to be launching the new application at the Argentum Senior Living Executive Conference,” said Travis Palmquist, Vice President and General Manager of PointClickCare’s Senior Living business unit. “You need to have a platform that provides evidence of value,” he said, adding that Companion is meeting their customers’ expectations. Throughout Companion’s development process, PointClickCare actively gathered feedback from senior living providers, and collaborated with Apple on the app’s design. “As a result, we’re confident that we’ve created a mobile experience that addresses providers’ complex needs while still keeping the simplicity and the user experience in mind,” Palmquist said. eMAR & The To Do list; Two features that provide caregivers relevant information about medication management distribution, documentation capabilities and upcoming tasks. The honest feedback that customers provided helped PointClickCare’s team further understand the ways in which caregivers organize their days, and what exactly they would want out of a mobile app. As a result, Companion has been designed around the ways they ‘bucketize’ their tasks to maximize productivity. “We needed an app that follows how they actually work, that understands what the workflow really looks like,” Palmquist added. As an Apple mobility partner, PointClickCare was able to harness the powerful design and development capabilities of iOS. The result of this is reflected in the app’s streamlined and easy-to-use features. PointClickCare leadership believes easy-to-use mobile tech can improve the work experience for caregivers the way wearables, voice-activated devices, and other tech has enhanced quality of life for residents. “Due to staffing challenges, it isn’t uncommon for select staff to be temporary, to fill in as needed, or to work in several different communities at once,” said Dave Wessinger, President of PointClickCare. “Communities must also be able to efficiently on-board and train new staff due to rapid rates of turnover. Tech solutions need to be easy to use and intuitive. That was our goal when designing Companion,” he added. CEOs in assisted living and other sectors of senior housing have shared their staffing frustration with Wessinger. “They’re saying that talent acquisition and retention is an ongoing challenge, and industry data suggests the problem will only increase ‘‘We have to do more with less’ is the general census. This is where mobile technology can play a role – it will streamline and greatly improve how front-line workers provide care and organize their day,” he said. “As we embrace mobile devices (rather than relying on end-of-shift updates), a number of things happen,” he added. “We learn the patterns of the individual resident. If you don’t enter the information when you’re with the resident, you’re not going to remember it.” Wessinger said. “In this way, we can also use technology to help fill gaps like leveraging it to allocate resources to the right people at the right time." Wessinger insists Companion lets staff spend more time with residents and spend it more effectively. It guides caregivers to complete a full range of tasks both more efficiently and on schedule. 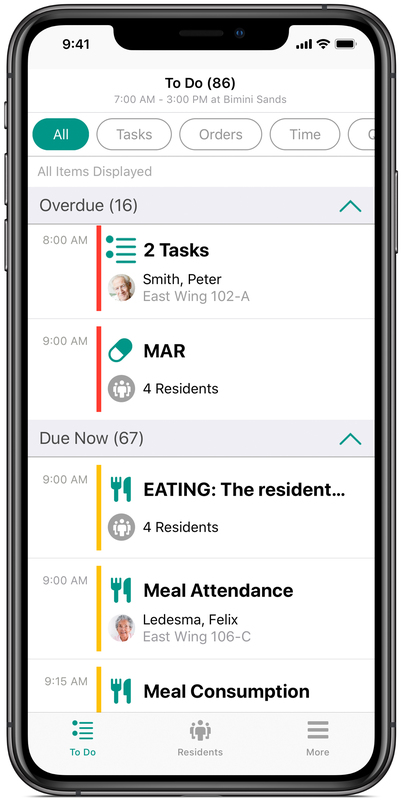 Using the app, caregivers can complete documentation of tasks and services in 30 seconds or less at the point of care, allowing them to spend more time with residents and less time documenting scheduled and unscheduled tasks. While no app or innovation enables complete autonomy for staff, Companion promises caregivers more flexibility to plan their shift and provide better care, including distribution of medications in a fraction of the time previously required. With the Companion mobile app, services and meds are combined into one unified toolset with tasks grouped by resident and type with a clear status indication. For example: “overdue,” “due now,” “due later.” Caregivers have access to everything they need in one place, and an easy guide of what to do next. “Staffing, resident and family experience, safety, compliance, and the financial health of the community – we believe Companion enhances all of these,” he said. “It provides the right workflow and the staff has better tools. It even offers better integration with pharmacies, which leads to fewer medication errors,” he added. Wessinger emphasized that when CEOs talk about their staffing challenges, they usually talk about the importance of culture. But he wonders how many actively consider the role that technology can play in shaping an organization’s culture. An investment in technology is an investment in your workers and shows them you’re interested in helping them use their time better, in ways that allow them to perform better, and be happier. Given the average wage, for most caregivers, the reason they’re working in these jobs is because they care about the people – they aren’t doing this for just the money. Tech that makes caregivers’ work situation better naturally enhances their loyalty. “People get you outcomes and you need to equip them with the right tools. Our goal with Companion and other PointClickCare apps is to build worker loyalty. We want them to say, ‘I’m not going to work for anybody else, or at least not a company who doesn’t provide tools and technology that make my job easier,” he said. Over the next few years, Wessinger believes more senior living providers will gravitate toward models that include care, not just hospitality. “There is a real need to start moving toward a care model now, so it doesn’t hit them out of left field,” he said. “When you invest in making life better for your employees, your residents will be happier as will their families,” he emphasized. “That’s what makes people talk. Your employees will talk about how the company they work for invests in tools to make their job more meaningful and residents will tell family and friends about how satisfied they are with the care they’re receiving,” Wessinger said. 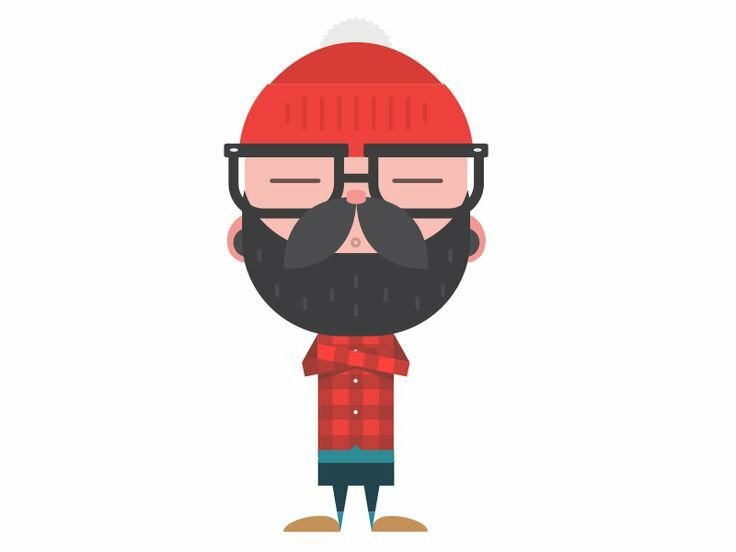 Interested in Learning More About Companion? Visit PointClickCare’s website now. Dave Wessinger, President of PointClickCare, will be a featured speaker at the Senior Living Innovation Forum taking place June 23-25, 2019 in Santa Barbara, CA. Request an invite here. The retreat for those shaping the future of restaurant development & design. Is this the Amazon Go of Restaurants? How Can Restaurants Save Money And Conserve Energy? Can a Starbucks-honed Reinvention Approach Work for Taco Bell? By entering your email you expressly consent to receive our newsletter and other material related to RestaurantSpaces.